WONDER IS NOW A MAJOR MOTION PICTURE STARRING JULIA ROBERTS AND JACOB TREMBLAY Over 6 million people have read the #1 New York Times bestseller Wonder and have fallen in love with Auggie Pullman, an ordinary boy with an extraordinary face. Auggie & Me gives readers a special look at Auggie's world through three new points of view. These stories are an extra peek at Auggie before he started at Beecher Prep and during his first year there. Readers get to see him through the eyes of Julian, the bully; Christopher, Auggie's oldest friend; and Charlotte, Auggie's new friend at school. 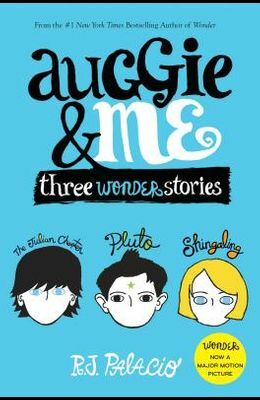 Together, these three stories are a treasure for readers who don't want to leave Auggie behind when they finish Wonder .